Following the announcement of this year’s winners of The British Wildlife Photography Awards, first prize has been awarded to an image capturing a mesmerising moment under the sea. Entitled ‘Hitchhikers’, it features a shoal of shimmering baby fish seeking a safe ride in the flowing tendrils of a Lion mane jellyfish’s tentacles. 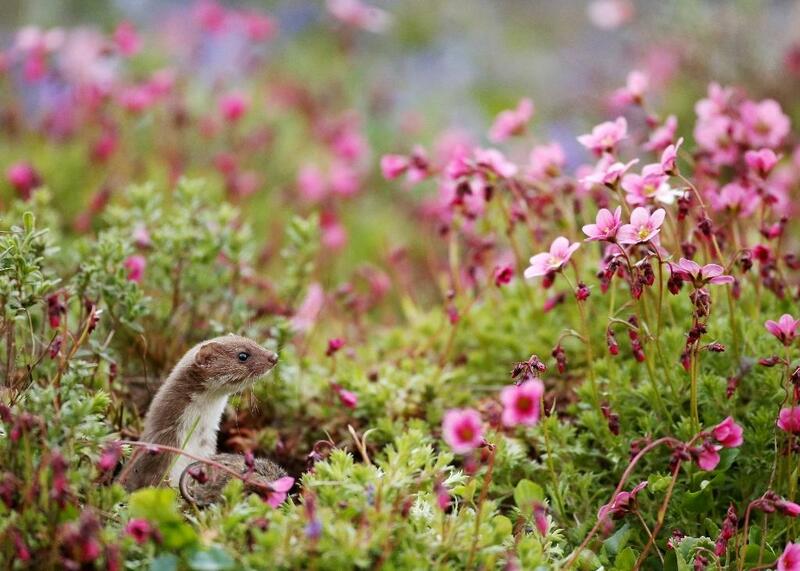 Celebrating both the work of amateur and professional photographers, and shining the spotlight on the sheer beauty, diversity and magnificence of the wildlife within our shores, the British Wildlife Photography Awards is separated into 15 categories. 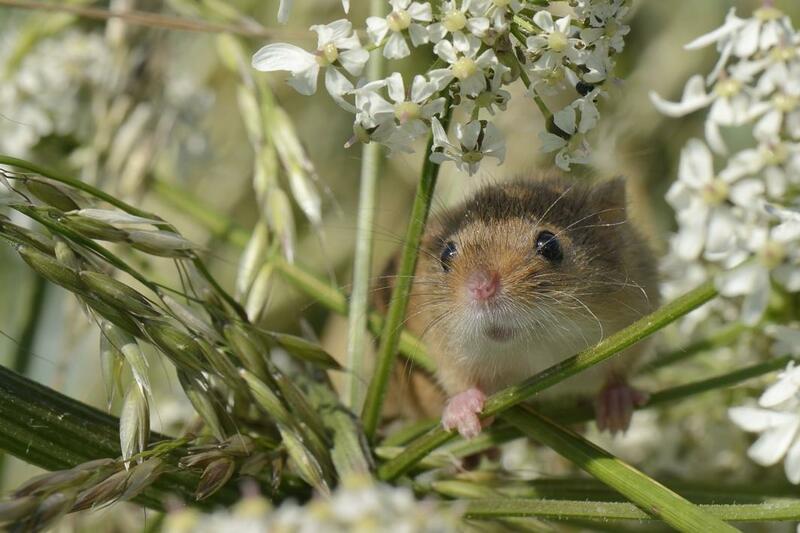 Photos recording efforts to track and monitor harvest mice were the winner of the Documentary Series category, featuring close-up shots of the rare and timid creature. A snowy mountain hare appearing from what seems to be dusty clouds in the Scottish highlands won the Animal Portraits category, while a series charting a weasel through the sun and snow won the British Seasons category. 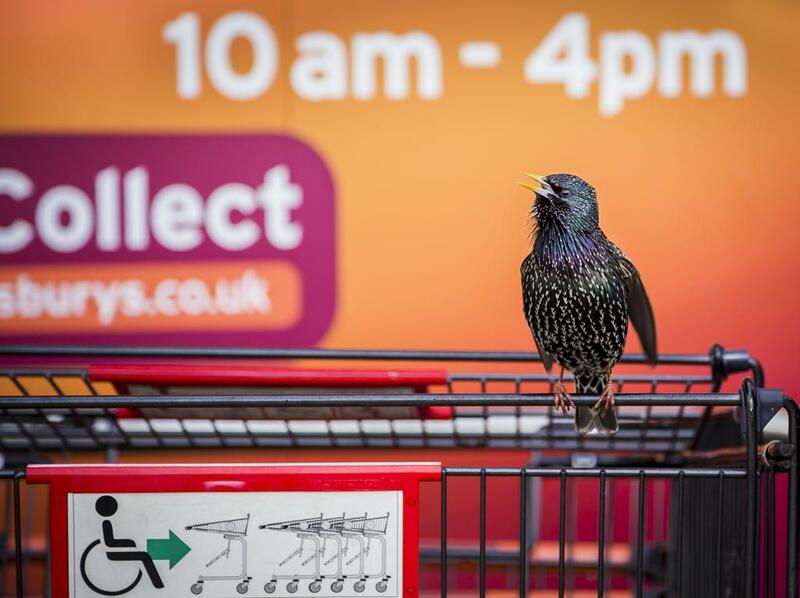 Other winning photographs featured often overlooked wonders that the wildlife surrounding us has to offer; a starling atop a supermarket shopping trolley, a bird soaring past a skyscraper cloaked in fog, and a tangled web of tangerine-coloured infant spiders. 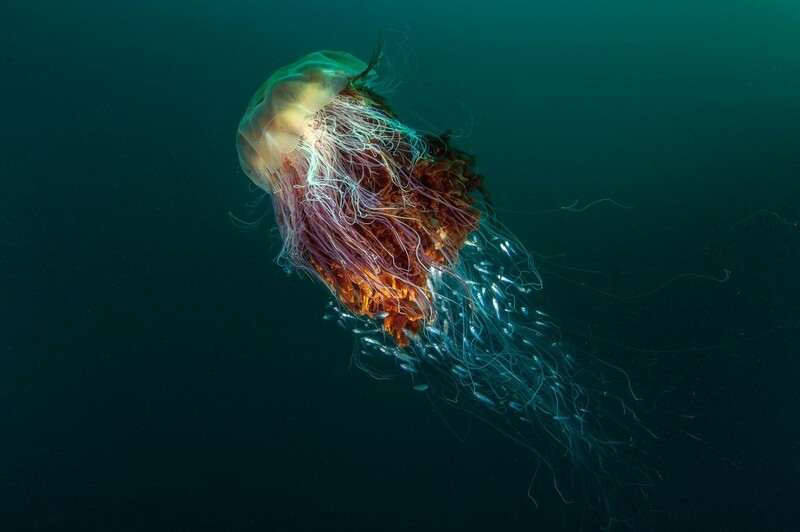 The competition’s overall winner and entrant into the Marine and Coast category, Marine Ecologist George Stoyle, from North Yorkshire, shot his jellyfish off the island of Hirta in Scotland. He had been working on a project about the biological status of sea caves when he came across the compelling journey that the tiny fish were taking. Established in 2009, the awards have proved to be a wild success, with thousands of entries received each year. 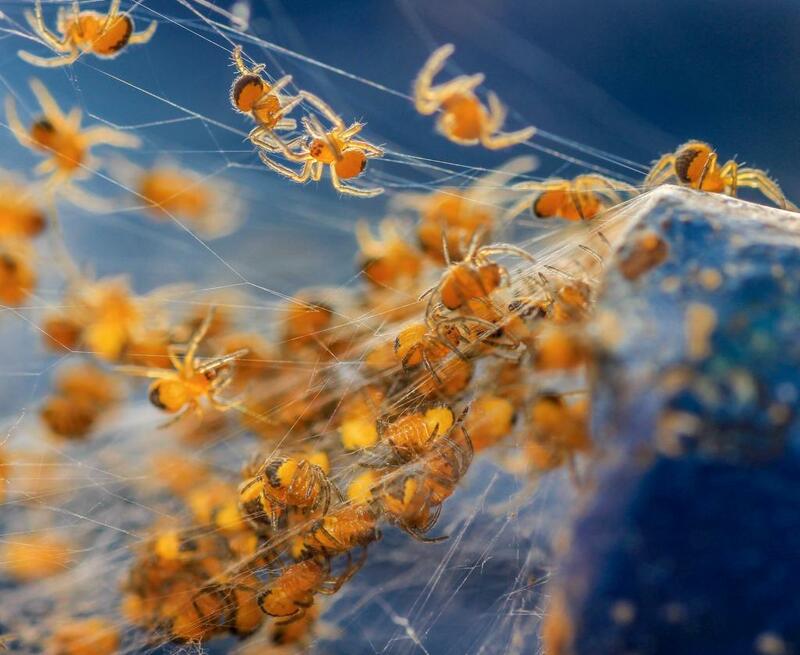 Young photographers and nature enthusiasts are also encouraged to give it their best shot, with separate categories for 12-18-year-olds and those under 12. Before you reach for those binoculars and start taking notes from old Attenborough episodes, what makes a winning photo? Truly an intriguing, and quite unexpected spectacle. 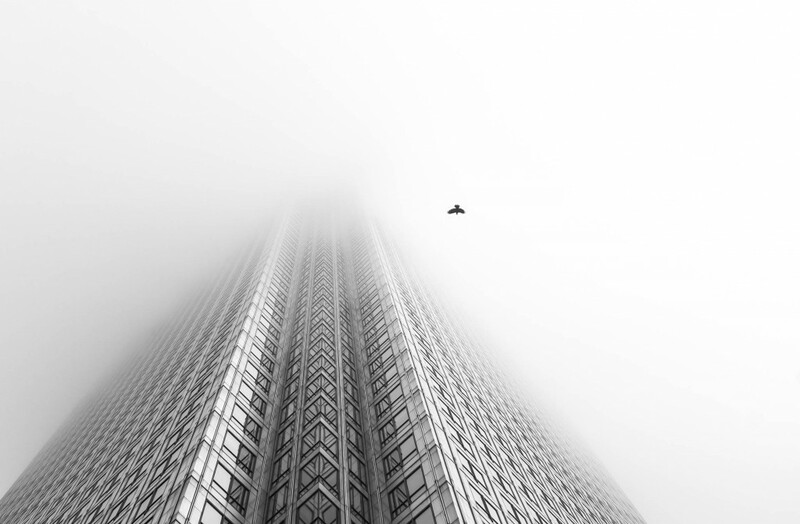 The British Wildlife Photography Awards aim to raise the profile of our natural heritage, engaging a wide audience with powerful and evocative imagery. If you have some beetles in your backyard or know of a beautiful meadow with burrows bursting with hares, entries for the 2017 competition will open in February. There’s no need to be a professional photographer – just a camera, a little imagination and an adventure into the great outdoors will do. 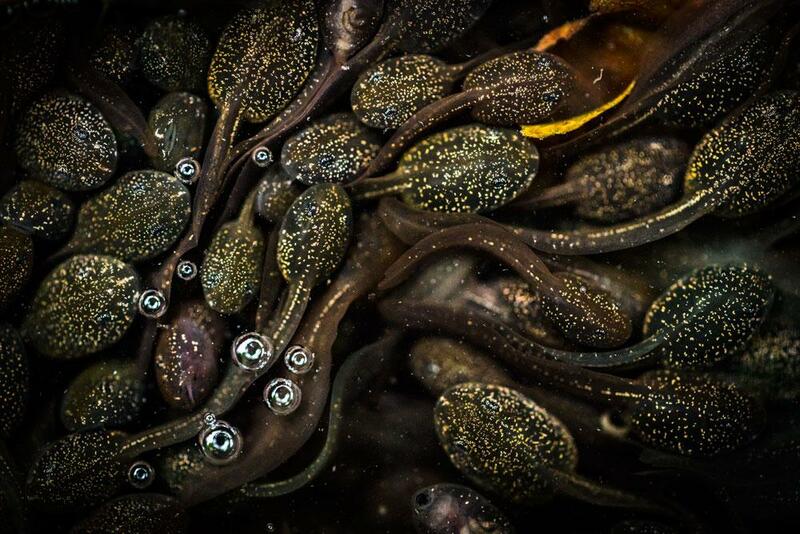 Who knew even the tiniest fish were capable of inspiring so much awe?